Get ready for some HUGE news, country fans!! That’s right, the unstoppable Dierks Bentley returns in 2019, continuing his tour in support of “The Mountain”!! 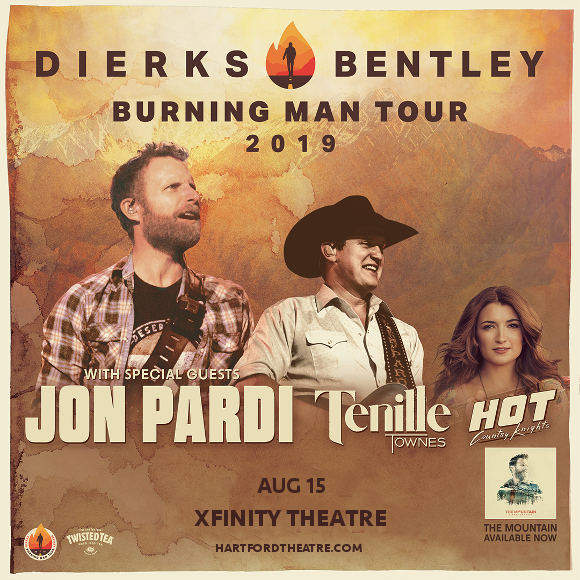 This time, he’s joined by Jon Pardi and Tenille Townes – an incredible line-up that will hit the Xfinity Theatre on Thursday 15th August 2019! No fan is going to want to miss this – make sure you don’t! Grab your tickets TODAY for this truly incredible tour!! We’re super hyped to see this incredible group of country musicians live – are you going to be one of the lucky few there at the show?? There’s only one way to be sure!! Make sure you get your tickets good and early while they last! !